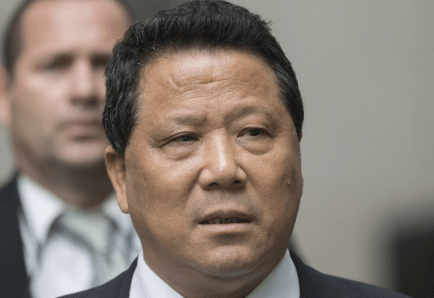 Geoffrey S. Berman, the United States Attorney for the Southern District of New York, and Acting Assistant Attorney General John P. Cronan of the Justice Department’s Criminal Division announced today that NG LAP SENG, a/k/a “David Ng,” the chairman of a Macau real estate development company, was sentenced today to 48 months in prison for his role in a scheme to bribe United Nations ambassadors to obtain support to build a conference center in Macau that would host, among other events, the annual United Nations Global South-South Development Expo. NG was sentenced by U.S. District Judge Vernon S. Broderick. NG was convicted on July 27, 2017, after a five-week trial, of two counts of violating the Foreign Corrupt Practices Act, one count of paying bribes and gratuities, one count of money laundering, and two counts of conspiracy. 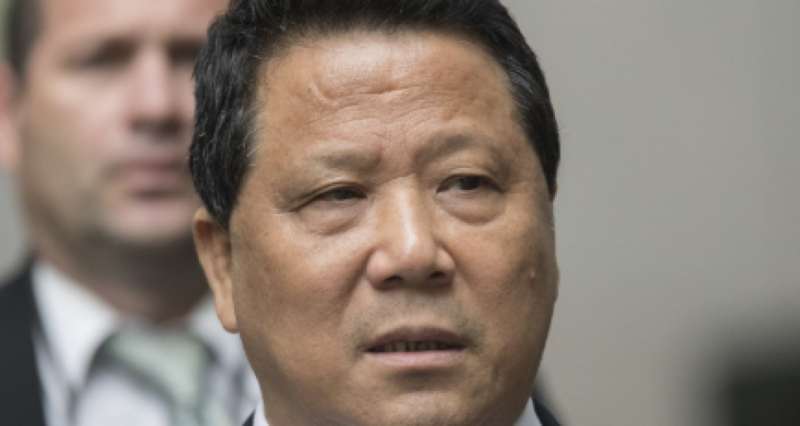 According to the evidence presented at trial, NG, the chairman of the Sun Kian Ip Group, conspired with and paid bribes to Francis Lorenzo, a former UN Ambassador from the Dominican Republic, and John W. Ashe, the late former Permanent Representative of Antigua and Barbuda to the UN and the 68th President of the UN General Assembly (“UNGA”). With the assistance of Jeff C. Yin, an accountant and co-conspirator who worked with NG and others and previously pled guilty to conspiring to defraud the United States, NG orchestrated a scheme with the principal objective of obtaining the formal support of the UN for a multibillion-dollar facility that NG hoped to build in Macau using the Sun Kian Ip Group (the “Macau Conference Center”). NG wanted the Macau Conference Center to serve as a location for meetings, discussions, forums, and other events associated with the UN. In particular, he wanted it to serve as the permanent home of the annual “Global South-South Development Expo,” which is run by the UN Office for South-South Cooperation, and is hosted in a different country or city every year. The trial evidence showed that NG bribed Ambassador Ashe and Ambassador Lorenzo (together, the “Ambassadors”) in exchange for their agreement to use their official positions to advance NG’s interest in obtaining formal UN support for the Macau Conference Center. As the evidence demonstrated at trial, NG paid the Ambassadors in a variety of forms. For example, NG appointed Ambassador Lorenzo as the president of South-South News, a New York-based organization – funded by NG – which described itself as a media platform dedicated to advancing the implementation of the UN’s Millennium Development Goals, a set of philanthropic goals. NG provided bribe payments to Ambassador Lorenzo through South-South News, and by transmitting payments from Macau to a company in the Dominican Republic affiliated with Ambassador Lorenzo’s brother (the “Dominican Company”). Through South-South News, NG also made payments to Ambassador Ashe, including to Ambassador Ashe’s wife, who was paid for a no-show job as a “consultant” to South-South News, and to an account that Ambassador Ashe had established, purportedly to raise money for his role as president of UNGA. According to the trial evidence, one of the actions that the Ambassadors took in exchange for bribe payments, to advance NG’s objectives, was to submit an official document to the then-UN Secretary-General in support of the Macau Conference Center (the “UN Document”). The UN Document claimed that there was a need to build the Macau Conference Center to support the UN’s global development goals. Ambassador Ashe, aided by Ambassador Lorenzo, initially submitted the UN Document to the UNGA in or about late February 2012. More than a year later, at NG’s behest, the Ambassadors revised the UN Document to refer specifically to NG’s company, the Macau Real Estate Development Company, as a partner in the Macau Conference Center project. The UN Document requested that the Secretary-General circulate the UN Document “as a document of the sixty-sixth session of the General Assembly,” under a specific item of the official UNGA agenda. The Secretary-General followed this request, thereby making the UN Document an official part of the UNGA record. In addition to the 48-month prison term, NG, 69, of Macau, China, was sentenced to three years of supervised release. NG was also and ordered to pay a fine of $1 million, to forfeit $1.5 million, and to make restitution to the UN for its legal fees. Five other defendants have been charged in this matter. Lorenzo and Heidi Hong Piao pled guilty to various charges, including bribery, and are awaiting sentencing. Jeff C. Yin pled guilty to conspiracy to defraud the United States and was sentenced to seven months in prison. Shiwei Yan pled guilty to bribery and was sentenced to 20 months in prison. Co-defendant Ashe died in 2016 and the charges against him were dismissed. This case is being prosecuted by the Office’s Public Corruption Unit and the Criminal Division’s Fraud Section. Assistant U.S. Attorneys Daniel C. Richenthal, Janis M. Echenberg, and Douglas S. Zolkind, and Trial Attorney David A. Last of the Fraud Section, are in charge of the prosecution.